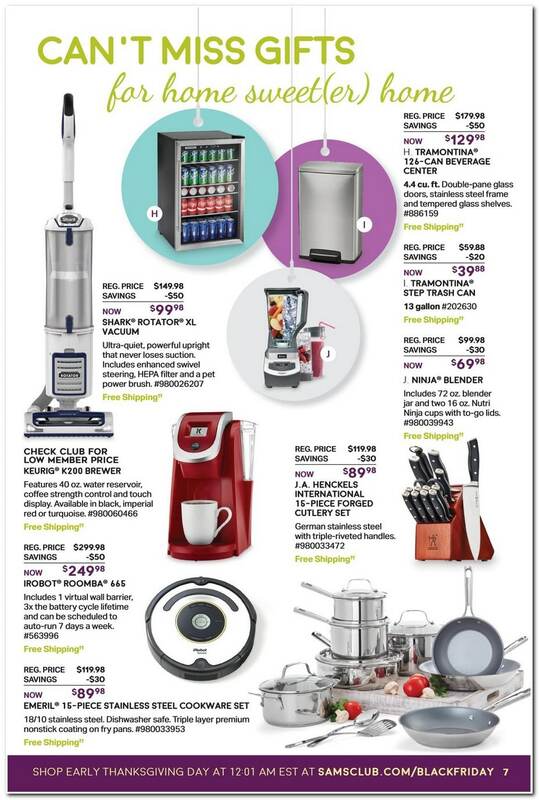 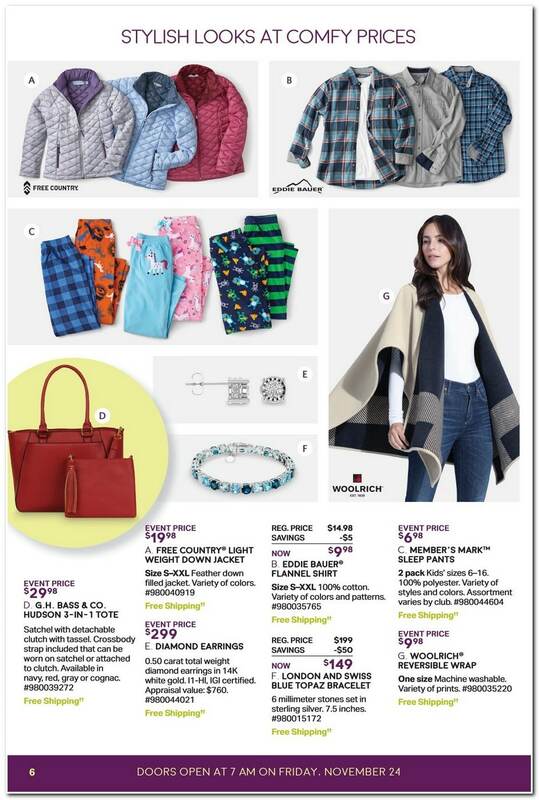 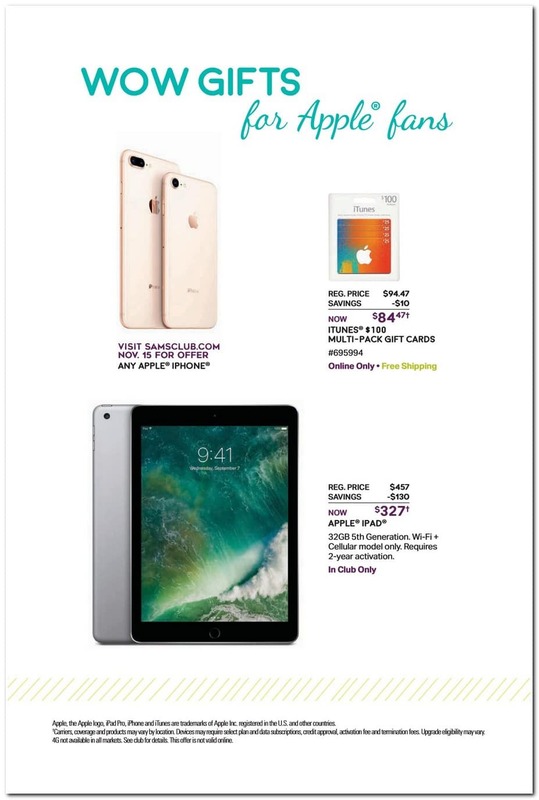 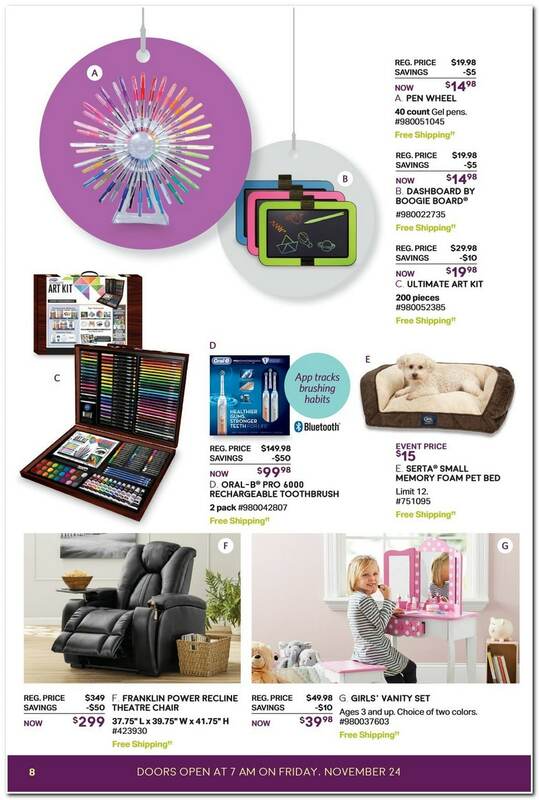 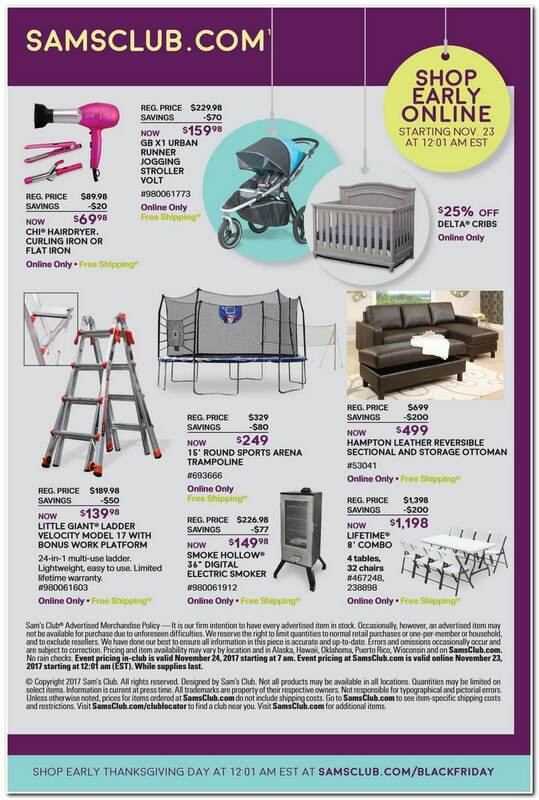 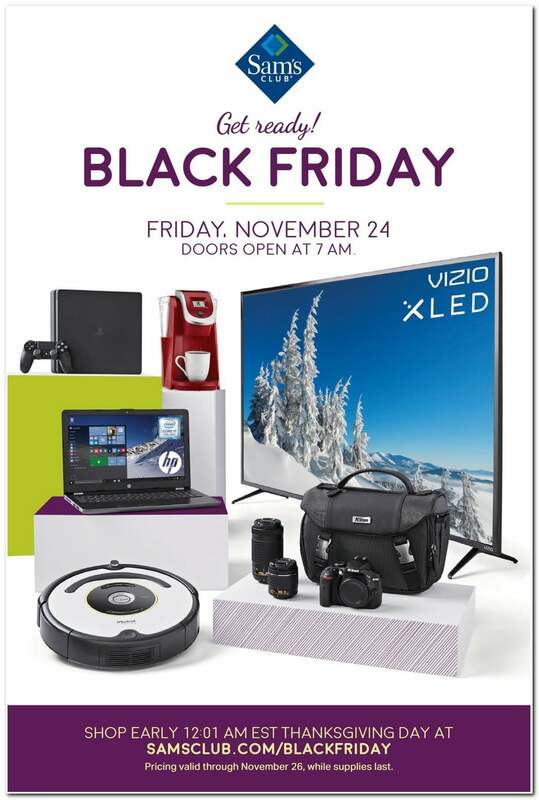 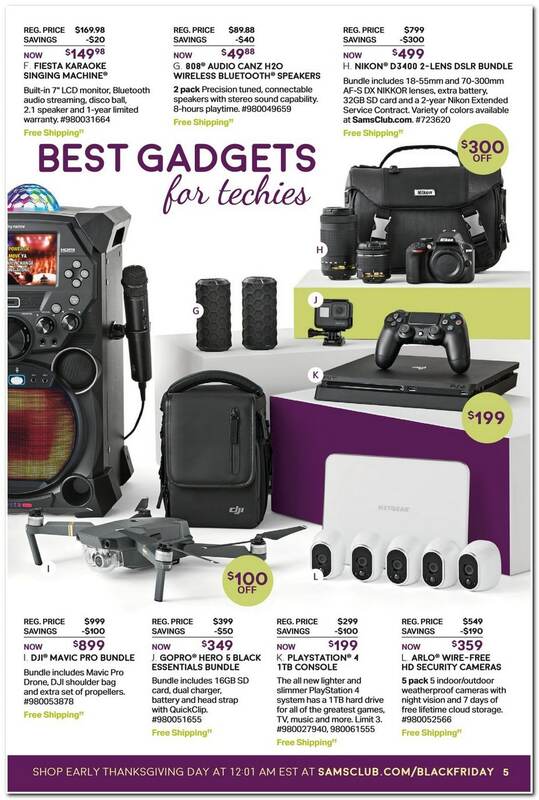 View Sam’s Club Black Friday 2017 ad, valid online-only from 12:01 a.m. EST Thanksgiving Day and Friday, November 24 from 7 a.m., deals available through Sunday, November 26. 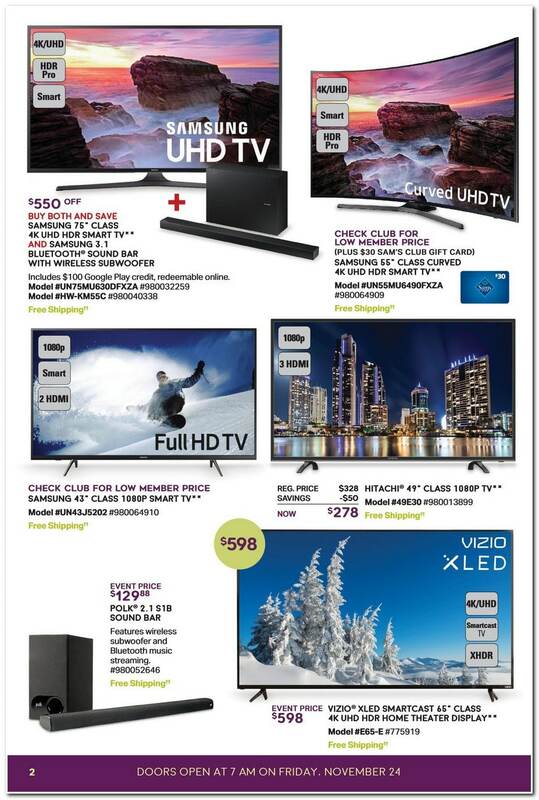 Save with this year Sam’s Club Black Friday deals on: Samsung 75-inch Class 4K UHD HDR Smart TV and Samsung 3.1 Bluetooth Sound Bar with Wireless Subwoofer – includes $100 Google Play Credit, redeemable online, Samsung 55-inch Class Curved 4K UHD HDR Smart TV, Samsung 43-inch Class 1080p Smart TV, Hitachi 49-inch Class 1080 TV, Polk 2.1 S1B Sound Bar, Vizio Xled Smartcast 65-inch Class 4K UHD HDR Home Theater Display with free shipping when you purchase online. 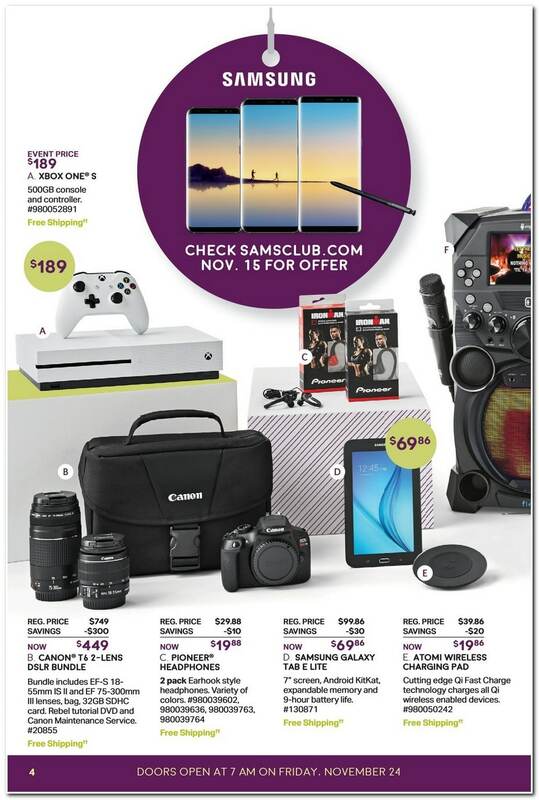 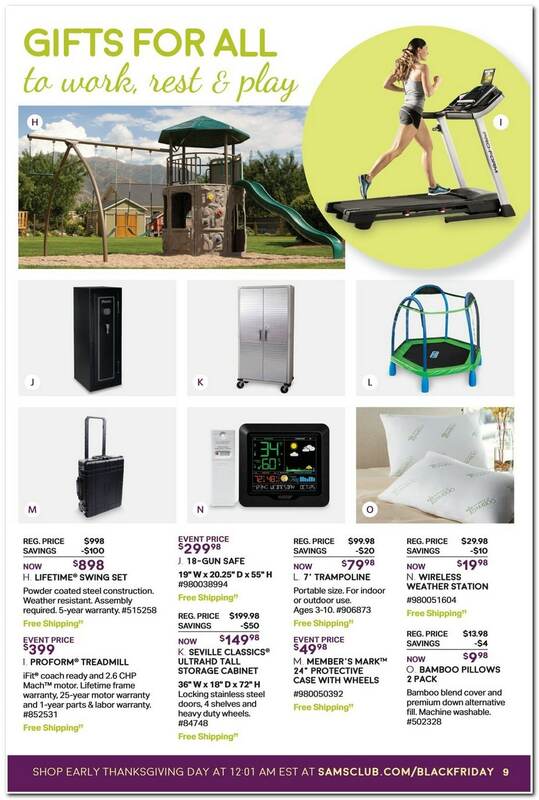 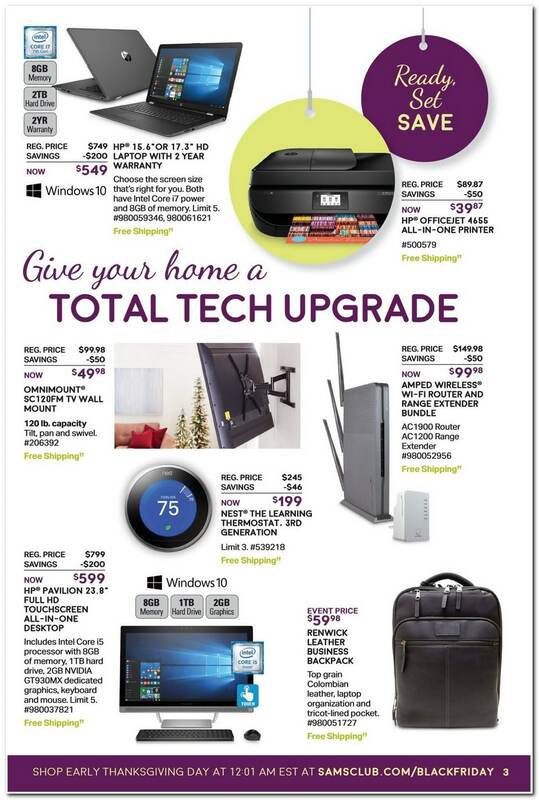 Browse this year Sam’s Club Black Friday deals before heading out to shop. 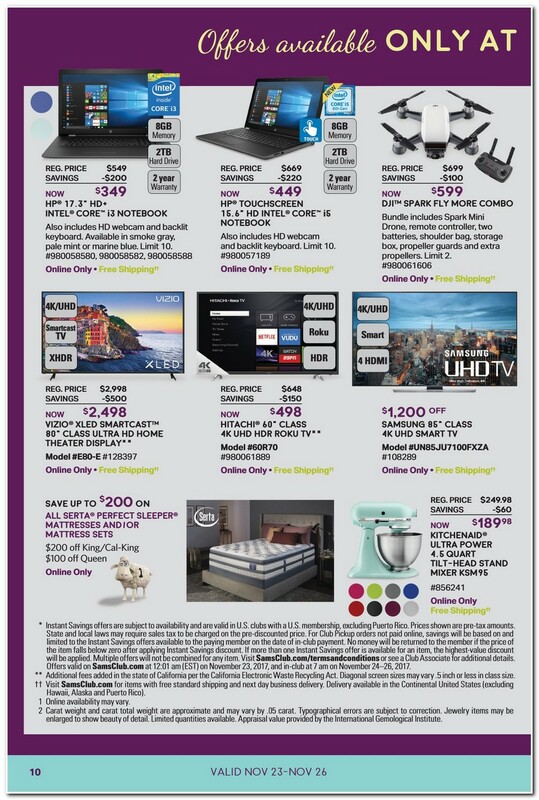 Shop online at samsclub.com.